Walmart has grown to become one of the largest retail companies in the world. Walmart is quickly expanding its presence all over the globe to reach out to a larger customers base. It even offers a great opportunity to the sellers to promote and sell their products on the marketplace. Walmart marketplace is a chance for the vendors to have a multi-channel presence and tap a market of approximately 80 million customers. Walmart is specifically famous for products like Electronics, home goods, tools, and outdoor. 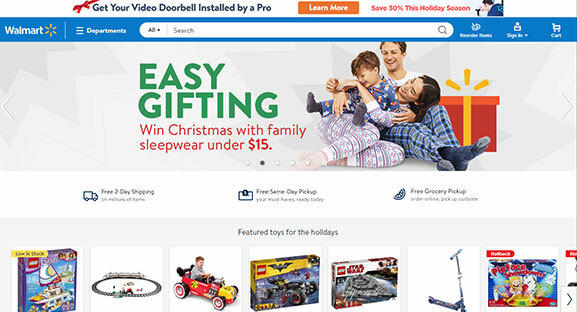 However, with the growth of the eCommerce industry, Walmart has started offering almost all the products including home and furniture, home improvement, clothing, footwear, jewelry, toys, health and beauty, grocery etc. Walmart API integration module from KnowBand is compatible with Prestashop, Opencart, Magento and Shopify e-commerce platforms. Sellers can use this smart solution to start selling on the Walmart Marketplace in a short period of time. KnowBand is offering the best price for this integration module along with 3 months free service period. Pick the suitable integrator module for your store - Walmart Magento Integrator, Walmart Prestashop Integrator, Opencart Walmart Integrator and Shopify Walmart Integrator..